-> An easy to use blogging platform. Write in a WYSIWYG editor, save drafts, and publish when you’re ready. -> A dynamic theming system, change the look of your entire blog with one click. -> Generate “SEO-friendly” permalinks with the click of a button. -> Built-in RSS feed functionality. -> Categorize and tag your blog posts. -> Automatic pinging to the top blog ping services. With the thousands upon thousands of other blogs running WordPress, it’s popularity is undeniable. Give it a test drive yourself by signing up for a free hosted blog at WordPress.com or take the plunge and host it yourself. Take advantage of the variety of free tools and resources associated with this popular open source blogging software. WordPress is a free and open-source content management system (CMS) based on PHP and MySQL. 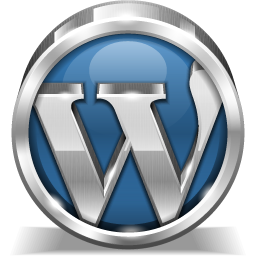 WordPress is installed on a web server, which either is part of an Internet hosting service or is a network host itself; the first case may be on a service like WordPress.com, for example, and the second case is a computer running the software package WordPress.org. An example of the second case is a local computer configured to act as its own web server hosting WordPress for single-user testing or learning purposes. Features include a plugin architecture and a template system. WordPress was used by more than 23.3% of the top 10 million websites as of January 2015. WordPress is the most popular blogging system in use on the Web, at more than 60 million websites.